Sturgis, South Dakota – Rock radio favorites Fuel, Alien Ant Farm, and Lit will unite to rock the final festival night of the Sturgis Buffalo Chip’s Largest Music Festival in Motorcycling™ Saturday August 10. The three platinum selling bands will round out nine days of unbelievable performances from artists including Kid Rock, The Doobie Brothers, The Cult, ZZ Top, Lynyrd Skynyrd, Toby Keith, Rob Zombie, Brantley Gilbert, Halestorm, Mastodon, Machine Head, Queensrÿche, Buckcherry, Pop Evil, Sublime with Rome and more to be announced soon. Concert entertainment begins on Aug. 2 and goes through Aug 10, 2013 during the Sturgis motorcycle rally. Information and campground admission passes are available at www.BuffaloChip.Com. All three bands shot into stardom in the late ‘90s and early 2000s, producing fun and edgy modern rock hits and amassing platinum records. Songs such as Fuel’s “Hemorrhage (In My Hands),” Lit’s “My Own Worst Enemy” and Alien Ant Farm’s “Smooth Criminal” quickly made it into regular rotation on rock stations and remain there today. Combining these crowd favorites with revving motorcycles, Bikini Beaches, vendors and beer gardens should make Saturday night at the Buffalo Chip an energetic festival finale. 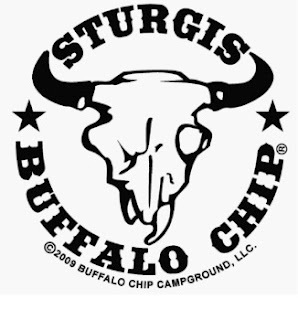 Campground admission passes for the 32nd annual Sturgis Buffalo Chip Motorcycle and Music Festival may be purchased for specific dates or for the entire festival, which runs July 29 through Aug 11, 2013. For more information and a schedule of Sturgis Buffalo Chip events, visit www.BuffaloChip.Com or call (605) 347-9000. Concerts are free with camping, which includes the rally’s one and only Bikini Beach, multiple stages of live entertainment, hang outs, and clean facilities on 580 scenic, creek fed camping resort acres three miles east of Sturgis, SD.